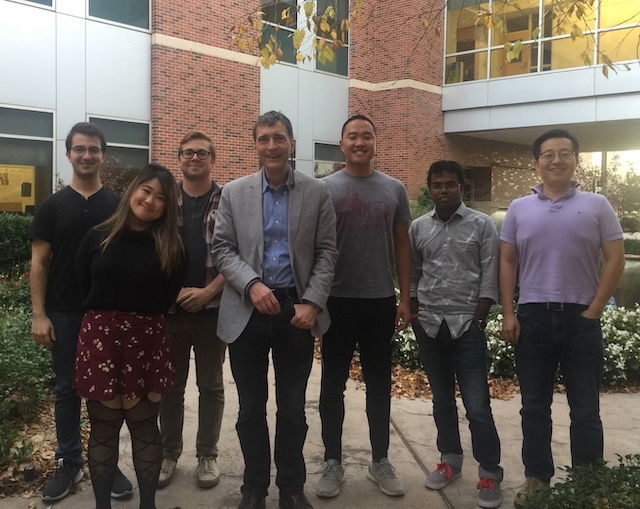 Research in our group focuses on the physics of proteins, "nanomachines" that are responsible for transporting molecules, catalyzing and regulating biochemical reactions in the cell, or as antibodies for fighting infections. As proteins are only functional if they assume specific shapes, it is important to explore how these structures emerge from a protein's chemical composition (the sequence of amino acids as specified in the genome). Such knowledge could not only lead to the rational design of novel drugs, but also to a deeper understanding of various diseases that are caused by misfolding of proteins. Computer simulations offer one way to explore this sequence-structure relation but are extremely difficult for realistic protein models with their high dimensionality and competing interactions. A significant part of the research in our group aims at overcoming this obstacle through the development of novel numerical techniques. Some of these advanced algorithms are implemented in our free software package SMMP. 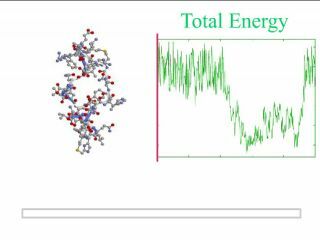 Click on the picture to see a short movie that visualizes sampling of protein structures by one of these methods, multicanonical sampling. In other projects we use these new techniques to probe the mechanism of folding in small proteins and the conditions under which proteins mis-fold and aggregate (which is often related to the outbreak of neurological diseases). 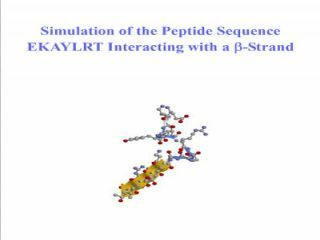 For instance, the secondary structure of the peptide EKAYLRT, shown here in this small movie, depends on its environment. In the vincinity of a beta-strand it likes to form a strand, too, while further away (or isolated) it tends to form an alpha-helix. Protein-ligand binding and protein interaction networks belong to the same research direction and provide an interface for collaborations with bioinformatics groups.